Cricket, they say, is a sport of the gentlemen, but they never mentioned that ladies can be pretty great at the sport, as well. But it never mattered to the cricket ladies as to what the world said about them, or whether they have not received any acknowledgement for their skills. They have played along, and over the past few decades, they have displayed some great style and talent in the game of cricket. The best women’s cricket, of course, is seen in the ICC Women’s World Cup. The women with the bats hog greater attention, with the scores they smash. Let’s take a quick look at the 10 Most Successful Female Batsmen in ICC Women’s World Cup. 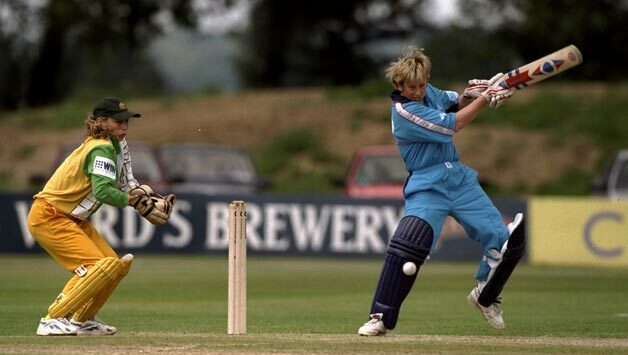 Carole Hodges scored 672 runs in 20 innings out of 24 Women’s World Cup Cricket matches she ever played in her active international cricket career for the England Women’s National Cricket team between 1982 and 1993, and is inducted in the tenth place in our list of 10 most successful female batsmen in ICC women’s world cup. Hodges has her highest world cup score of 113 and has achieved a batting average of 39.52 in Women’s World Cup. She played a total of 3 Not-Out matches for her national team, and dismissed just once in ducks in the ICC Women’s World Cup. 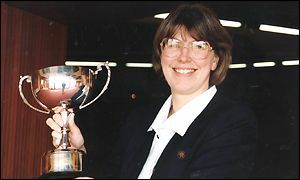 Carole Hodges scored 2 centuries and 2 half-centuries during her participation in the ICC Women’s World Cups for her English Women’s national cricket team. Suzie Bates scored 682 runs in 14 innings out of 14 Women’s World Cup Cricket matches she ever played in her active international cricket career for the New Zealand Women’s National Cricket team between 2009 and 2013, and is inducted in the ninth place in our list of 10 most successful female batsmen in ICC women’s world cup. Suzie Bates has her highest world cup score of 168 and has achieved a batting average of 56.83 in Women’s World Cup. She played a total of 2 Not-Out matches for her national team, and dismissed just once in ducks in the ICC Women’s World Cup. Suzie Bates scored 2 centuries and 3 half-centuries during her participation in the ICC Women’s World Cups for her New Zealand Women’s national cricket team. Mithali Raj scored 730 runs in 20 innings out of 22 Women’s World Cup Cricket matches she ever played in her active international cricket career for the Indian Women’s National Cricket team between 2000 and 2013, and is inducted in the eighth place in our list of 10 most successful female batsmen in ICC women’s world cup. Mithali Raj has her highest world cup score of 103* and has achieved a batting average of 60.83 in Women’s World Cup. She played a total of 8 Not-Out matches for her national team, and never dismissed in ducks in the ICC Women’s World Cup. 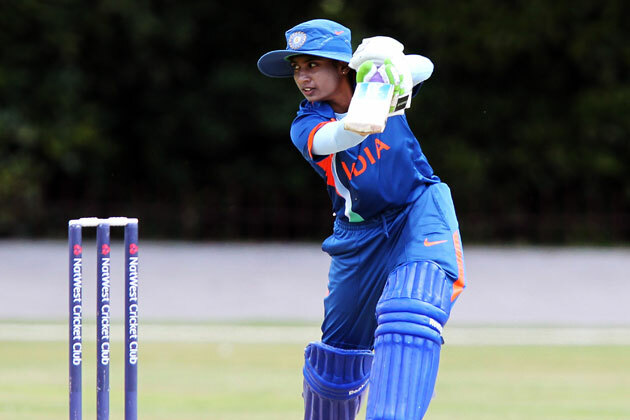 Mithali Raj scored a century and 6 half-centuries during her participation in the ICC Women’s World Cups for her Indian Women’s national cricket team. 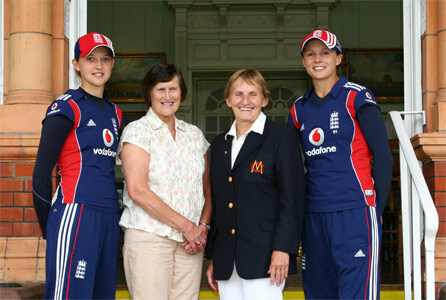 Lynne Thomas scored 755 runs in 19 innings out of 20 Women’s World Cup Cricket matches she ever played in her active international cricket career for the England Women’s National Cricket team between 1973 and 1982, and is inducted in the seventh place in our list of 10 most successful female batsmen in ICC women’s world cup. Thomas has her highest world cup score of 134 and has achieved a batting average of 50.33 in Women’s World Cup. She played a total of 4 Not-Out matches for her national team, and never dismissed in ducks in the ICC Women’s World Cup. Lynne Thomas scored a century and 3 half-centuries during her participation in the ICC Women’s World Cups for her English Women’s national cricket team. Claire Taylor scored 856 runs in 18 innings out of 19 Women’s World Cup Cricket matches she ever played in her active international cricket career for the England Women’s National Cricket team between 2000 and 2009, and is inducted in the sixth place in our list of 10 most successful female batsmen in ICC women’s world cup. Taylor has her highest world cup score of 137* and has achieved a batting average of 61.14 in Women’s World Cup. She played a total of 4 Not-Out matches for her national team, and dismissed just once in ducks in the ICC Women’s World Cup. Claire Taylor scored 3 centuries and 4 half-centuries during her participation in the ICC Women’s World Cups for her English Women’s national cricket team. 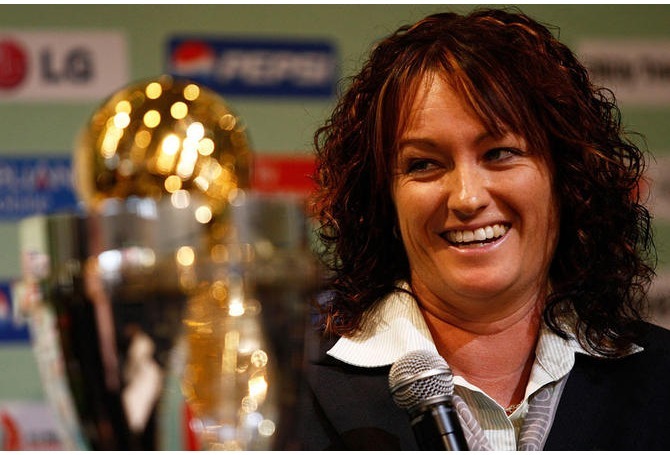 Karen Rolton scored 974 runs in 22 innings out of 28 Women’s World Cup Cricket matches she ever played in her active international cricket career for the Australian Women’s National Cricket team between 1997 and 2009, and is inducted in the fifth place in our list of 10 most successful female batsmen in ICC women’s world cup. Rolton has her highest world cup score of 154* and has achieved a batting average of 74.92 in Women’s World Cup. She played a total of 9 Not-Out matches for her national team, and never dismissed in ducks in the ICC Women’s World Cup. 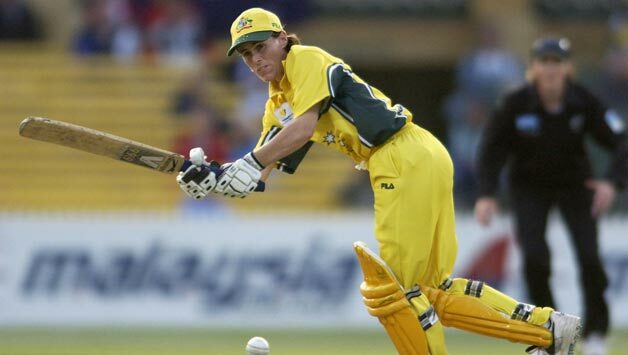 Karen Rolton scored 3 centuries and 6 half-centuries during her participation in the ICC Women’s World Cups for her Australian Women’s national cricket team. Belinda Clark scored 1151 runs in 26 innings out of 29 Women’s World Cup Cricket matches she ever played in her active international cricket career for the Australian Women’s National Cricket team between 1993 and 2005, and is inducted in the fourth place in our list of 10 most successful female batsmen in ICC women’s world cup. Belinda has her highest world cup score of 229* and has achieved a batting average of 60.57 in Women’s World Cup. She played a total of 7 Not-Out matches for her national team, and never dismissed in ducks in the ICC Women’s World Cup. Belinda Clark scored a century and 6 half-centuries during her participation in the ICC Women’s World Cups for her Australian Women’s national cricket team. Charlotte Edwards scored 1231 runs in 28 innings out of 30 Women’s World Cup Cricket matches she ever played in her active international cricket career for the England Women’s National Cricket team between 1997 and 2013, and is inducted in the third place in our list of 10 most successful female batsmen in ICC women’s world cup. Charlotte has her highest world cup score of 173* and has achieved a batting average of 53.52 in Women’s World Cup. She played a total of 5 Not-Out matches for her national team, and dismissed just twice in ducks in the ICC Women’s World Cup. 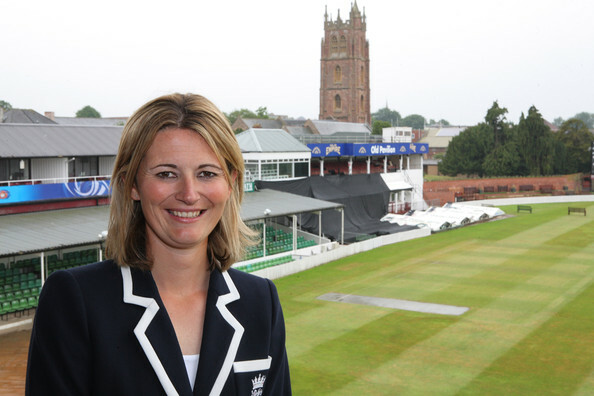 Charlotte Edwards scored 4 centuries and 7 half-centuries during her participation in the ICC Women’s World Cups for her English Women’s national cricket team. Janette Brittin scored 1299 runs in 35 innings out of 36 Women’s World Cup Cricket matches she ever played in her active international cricket career for the England Women’s National Cricket team between 1982 and 1997, and is inducted in the second place in our list of 10 most successful female batsmen in ICC women’s world cup. Janette has her highest world cup score of 138* and has achieved a batting average of 43.30 in Women’s World Cup. She played a total of 5 Not-Out matches for her national team, and dismissed just twice in ducks in the ICC Women’s World Cup. 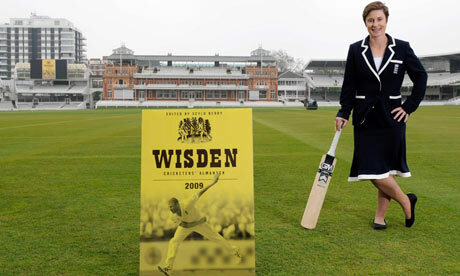 Janette Brittin scored 4 centuries and 3 half-centuries during her participation in the ICC Women’s World Cups for her English Women’s national cricket team. Debbie Hockley scored 1501 runs in 43 innings out of 45 Women’s World Cup Cricket matches she ever played in her active international cricket career for the New Zealand Women’s National Cricket team between 1982 and 2000, and is inducted in the top place in our list of 10 most successful female batsmen in ICC women’s world cup. Debbie has her highest world cup score of 100* and has achieved a batting average of 42.88 in Women’s World Cup. She played a total of 8 Not-Out matches for her national team, and dismissed just twice in ducks in the ICC Women’s World Cup. 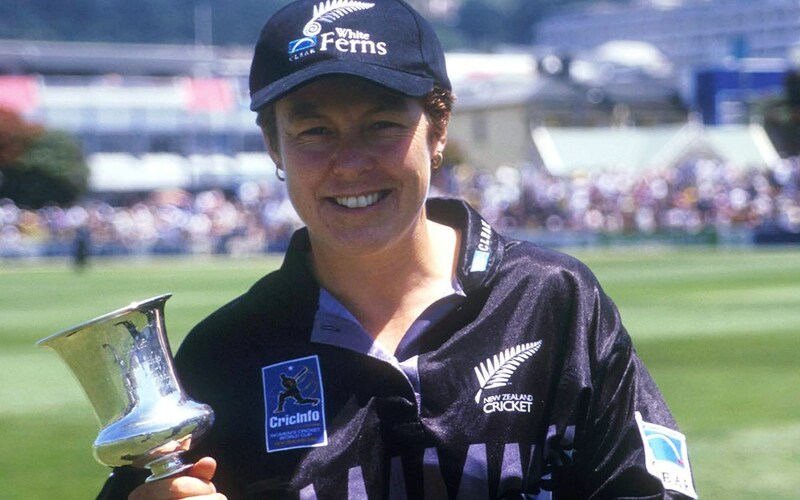 Debbie Hockley scored 2 centuries and 10 half-centuries during her participation in the ICC Women’s World Cups for her New Zealand Women’s national cricket team. Women cricket players have great power and talent, and the female batsmen, or batswomen as we often call them, have managed to score big records in the ICC Women’s World Cup. Their names are etched in the history of the tournament, and the moments created by them are among the best ones for cricket fans.